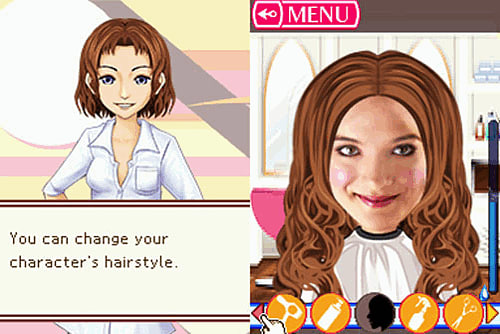 Become the ultimate hair stylist and make-up artist by running your very own salon. You’ll need to master the art of hair-styling, makeup and above all, keeping your customers happy! Only for DSi - cannot be used with Nintendo DS/DS Lite. Create your new look with Hair Salon! Hair Salon is exclusive to the Nintendo DSi. 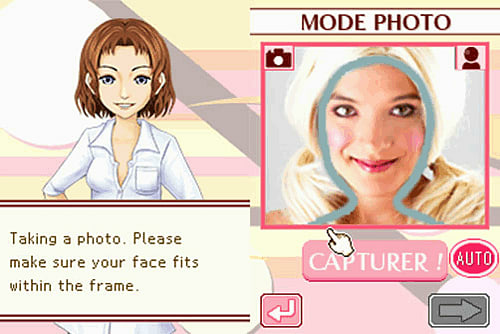 It is the perfect game for girls of all ages who are interested in the world of hair and makeup. 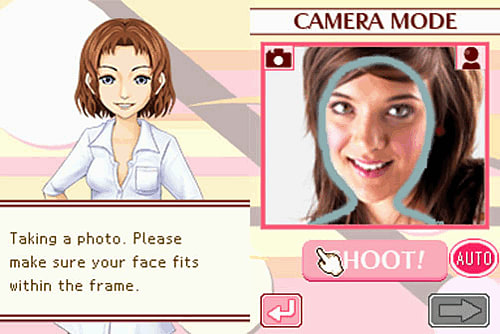 It gives girls the opportunity to experiment with different styles – you can even use the DSi camera function to take photos of you and your friends to create brand new looks! You can also become the character in game to be styled! Rise up the ranks to become the ultimate hair stylist! Swap images and creations wirelessly with other Hair Salon players. Perfect your hair and make-up techniques with over 15,000 combinations to use! Learn how to cut, colour and style hair whilst perfecting your make up style and technique. Keep your customers happy and earn money to go towards the upkeep of your Salon. Participate in contests to win awards and increase your ranking within the salon world.